Who doesn’t want traffic and comments on every post? But often people ask me “you have comments and thousands of views on each of your blog. How do you do it?” I want to demystify this secret today through this post! We all know getting huge traffic every day with hundreds of comments can put you in a better search ranking! How to do it is not a rocket science! It is a simple and clear trick! A simple rule! ‘Give the world the best and the best will come back to you.” I do just that! I read others’ blog, comment on them if I like and reply the comments. As simple as that! It is, of course, time-consuming and often tiring too but there is no short cut to success. No tools, technology, and science can get traffic and comments on your platter. If anyone claims so, that may not live for long. It will be frugal and for a short while only! I am sure you people are not here for a while. If you have to make a mark you have to learn the art of sustainability. Coming to the point, let’s find out the ways and tips that can bring traffic and comments to your posts. Yes, spend some time to read other bloggers and do not forget to comment also if it interests you. That is the time tested method to receive comments on your blog. Good association with other bloggers and becoming a regular visitor to your best bloggers is a great way to say connected and promote your own blog also. They will certainly track you through Google Analytics and try to return the favor. But make sure you comment when required and the blog and topic are well written and of the essence. Just do not do it for the sake of doing it! Select those bloggers who actually are influencers and can give something to learn. Asking is also a powerful way to compel others to speak. Unless you ask there are very few people who have to time to reply. Take the initiative to query. You will get responses. If not from all, a few will certainly reply. You can end every blog with some question like asking for suggestion, their views, and comments. Once you receive any comment do not forget to reply it. This will display how important their comments are for you helping them stay connected to you in future too. Refer the influencers of your industry also in the posts that are related to them. 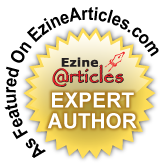 Referring industry influencers with their work and hyperlinks will add value and impetus to your blog post. If possible you can also send the influencers a personal message talking about your blog and sharing the post you wrote referring them. It will drive readers to know what influencers do and think. People are crazy about knowing these people and following them. Write posts consistently without giving large gap. If possible and if you could plan out a roadmap for the entire set of posting in a month, better to mention the next blog topic with date and time also at the end of your post. We have started this process recently. If you have some dedicated readers they will certainly wait for your next post. It will also make you more professional and a better time manager. Sharing personal life experiences works better than writing a professional post. Let your post speak about your life and its experiences. Your hardships, challenges, struggle to overcome it and the future plan. More open and personal you are better curiosity and traffic it’ll trigger. Do also ask your audiences’ suggestions and stories. There are several issues everyone goes through during the struggling days. Our hitch was we never liked and understood the SEO part of any promotional campaign. During the promotion of our blog also, we rarely thought about SEO. Many will disagree with me and some will agree too. This is how people react. In my previous blog I have said that I prefer social media promotion over SEO, although website speed, meta tags, meta descriptions etc. matters. Though all will not agree to you all we are free to share our views, and the person who agrees with you will appreciate you. So, don’t shy away from talking about things that bother you or are controversial. These work as triggers. Respond to all the comments. Make your every commenter feel special. They are actually special for you and your website! It will keep them engaged and help them return. It will create a personal bond with them and thus you will earn a rich list of visitors to your blog who would wait for your blog and like to comment and get engaged. If you post blogs on regular interval it’s great! You can post twice or thrice a week. It’s a good frequency if not great. You will notice you receive most traffic on the first day of posting your blog which reduces with every passing day. To retain the interest and engagement of your readers posting blogs at least every 3rd of 4th day is necessary. I don’t recommend posting multiple times a day or posting high-end content once in 10 days! Being moderate is always feasible for all. Now it’s the turn of social media to do their work! It is the most powerful medium nowadays. How to leverage it – could be a matter of research and experiment. As per my experiment, there is no better, larger and effective platform than social media today. It has the potential of changing the government of any country in a day. May be a big claim but not wrong! You just need to find ways to use it. The most popular ones are Facebook, Linkedin, Instagram, Twitter, Pinterest, Google+ etc. Sharing on social media is as necessary as writing the blog. More connections and larger the circle you have on social media, wider your blog’s reach out. When you share your post on social media, write a personalized message for the followers and friends on every platform. It will create a personal connection with your audience that actually goes a long way. Today people are more interested in personalized messages and products. Million dollar companies are investing in technology and tools to provide their customers with personalized products. This is just a kind gesture. Accept guest post and write also. It will add variety in your post and the writing style. It will get you fresh posts without writing any. You can also approach quality bloggers writing on the same niche for guest posts. It will get you quality traffic from their blog through the backlink you posted. Giving authenticity to your posts can do miracles. What you say you should substantiate it too by posting graphs of Google analytics and screen shots. It will attract the audience and increase the trust of your readers. It will help them realize your posts are actually your real data and not inspired by others. So, friends, it is quite obviously traffic as well as comments are important for your blog. The more you’ll be real and genuine, better it is. It will not only earn you credibility but also make you an influencer. So if you haven’t yet tried these tips how to increase your blog traffic and start earning, better to start trying today. Do share your experience to make this post more useful for newbies. Next Topic: A Promotional Post on https://www.theaeonian.in/ – a Premier Startup Summit. Publishing Date: 26-08-2017 Time : 10: 00 p.m.
Nice and useful post. I agree there is no short cut to success. You need to spend time and energy on whatever you are doing, and some goes with blogging. You are right Vandana!Thanx for sharing your views! Nice post @Mamata Sharma ji. thanks for reading this and i am also working hard to grow traffic on my site, i just have a request that please right a post for my site on you site. I am also a member of IndiBlogger, please contanct us and do write us on your site. Thank you. I am not really getting you! Do you want to write on my blog or asking me to write on your blog! Very nice and useful post. Thanks for sharing. Yes its time consuming but we have to do it. Thanks again. Thanx Sujata for your inputs! Thanks a lot for so many infos and tips.